Composer | Richard Altenbach, composer, violinist. 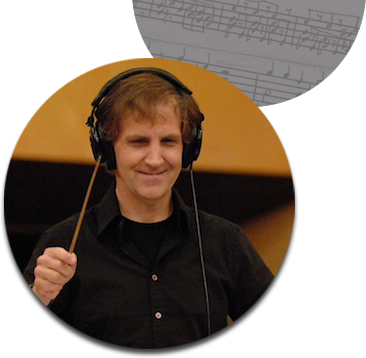 Richard brings 25+ years of orchestral and Hollywood Studio experience to his compositions. As an A-List Violinist, including Principal for John Williams and Danny Elfman, Richard’s resume includes work with such composers as Hans Zimmer, James Horner, Howard Shore, James Newton Howard, and the two late greats John Barry and Jerry Goldsmith. He has participated in over 1000 film scores. A short list of film and game recording credits include Moana, Bridge of Spies, Batman vs. Superman, The Walk, Finding Dory, Planes, Monsters University, Planet of the Apes, Fast & Furious, the Jurassic Park films as well as the Bourne, Spiderman, X-men, Matrix, Pirates of the Caribbean and Toy Story film series, Fable, the Sims, Lion King, Beauty and the Beast, Titanic and Prince of Persia. Richard has also performed live on the Academy Awards and The Tonight Show, collaborated with Frank Sinatra, Faith Hill, Puff Daddy, YoYo Ma, Barbra Streisand, Celine Dion, Andrea Bocelli, Aerosmith, Mannheim Steamroller, and composed arrangements for Natasha Bedingfield. A sought-after film and game composer, Richard wrote the score to Biting Personalities, which won 1st Prize in the So-Cal Cinema Grand Slam Competition in Hollywood and screened at SUNDANCE. Richard was recently chosen 1 of 12 composers worldwide to participate in the prestigious ASCAP Film Composers’ Workshop which recognizes participants as the up-and-comers to watch; the film cues Richard composed, arranged and conducted were recorded with the Hollywood Studio Orchestra at 20th C. Fox. Recent film and game composer credits include Stealing Time (feature film drama) the Dark (horror feature in post-production), the Killing of Mary Surratt (doc), Raven Crest (webseries), Hacker Evolution (game), Bloodspeare (game), Esenthel (game) and Cancer Man (short which premiered at Comic Con 2010). TV includes the pilot for Galahad (webseries), RavenCrest (gothic ghost story) and the THEME to Star Trek Lexington. “As composer, it is important to understand the intent of your project. A film director needs appropriate music to help propel the narrative of the story; a video game developer requires looping ambient tracks or dynamic, adaptive elements to set the tone for a particular game level, and effective linear music for cutscenes (in-game cinematics); and a jingle producer calls for an immediately catchy tune to brand an indelible impression on the listener. Are you a Creative in need of Music? Contact Richard about your project; explore the possibilities!